The 80 bn euro cost of physical inactivity in Europe is equivalent to what the entire world spends on cancer drugs each year! Despite all of the well-established health benefits linked to activity, a large proportion of the world's population remains physically inactive. Measured against the WHO guidelines, a quarter (26%) of adults across Europe are insufficiently active (WHO 2010). Of the six focus countries examined, the UK sees the highest prevalence of physical inactivity, with 37% of the adult population categorised as being insufficiently active. 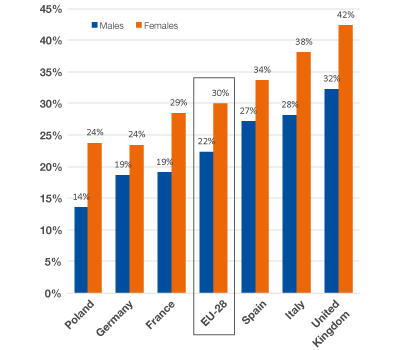 Proportion of men and women (18+) who are insufficiently active, six focus countries in Europe, 2010 Source: WHO 2010, Cebr analysis. Data are age-standardised. 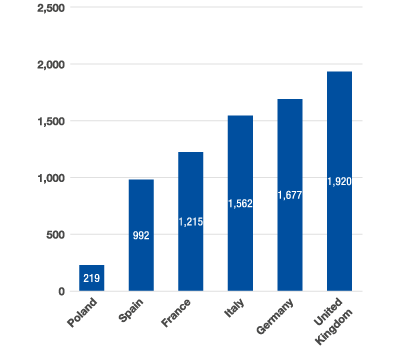 Direct cost of physical inactivity across six focus countries (millions of Euros), 2012 Source: Lee et al., WHO, OECD, Eurostat, IDA, EUCAN, Cebr analysis Note: The indirect cost in the chart above refer to those resulting from physical disorders only. The direct costs presented opposite comprise the total (public and private) health expenditure upon the four major NCDs considered in this study, which can be attributed to physical inactivity. 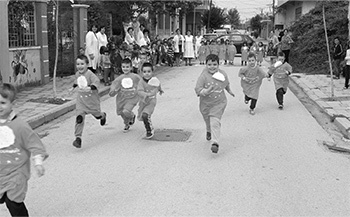 This calculation seeks to understand what societal resources are devoted to treating activity-related disorders. Total direct costs for the six focus countries presented here reached €7.6 billion in 2012, with the direct costs to the EU-28 estimated at €9.2 billion. Top ten leading risk factors for global mortality (millions of deaths), 2004 Source: WHO 2010, Cebr analysis. The impact of insufficiently-active lifestyles can be seen through comparing inactivity's role in global mortality with those of other risk factors. 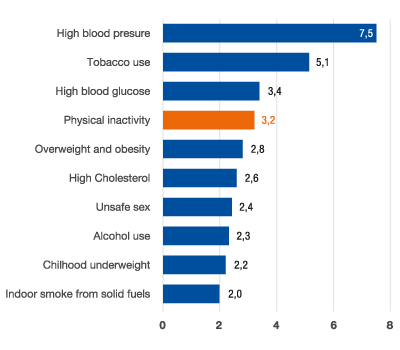 As illustrated in the chart opposite, physical inactivity has been identified as the fourth leading risk factor for global mortality. A 2009 study by the WHO estimated that physical inactivity accounted for roughly 6% of global deaths in 2004 - equal to around 3.2 million deaths in that year. Within a few decades, physical inactivity has become one of the leading risks to European citizens' well-being and a growing challenge for European economies. But despite increasing evidence of dramatic health and economic costs associated with physical inactivity, we still lack sufficient initiatives to reverse this negative trend.